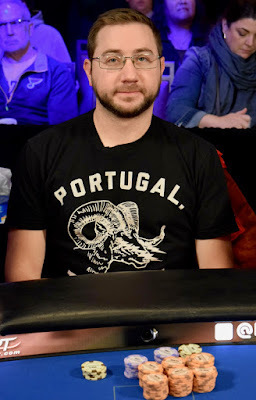 @AriEngelPoker has a 8.2 million to 1.2 million lead, and he puts pressure on by moving all in preflop to put @JakeBazeley at risk, and Bazeley calls off his stack. Bazeley adds a gutter straight draw on the flop, but Engel takes the lead on the turn. The river eliminated Bazeley in second place, a $102,647 cash. 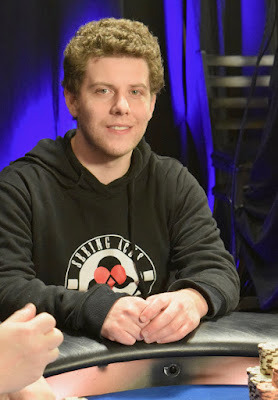 @AriEngelPoker has had the best of it in the early goings of the heads-up match against @JakeBazeley (above, file photo) for the Season XIII @HPTPoker Championship, opening a better than 4-1 chiplead. Bazeley now moves all in preflop for 1,265,000 and Engel makes the call to put Bazeley at risk to bring the tournament to a close. That was all but over pretty quick on the flop, the board running out and Engel's chiplead is down to 7.3 million to 2.5 million. 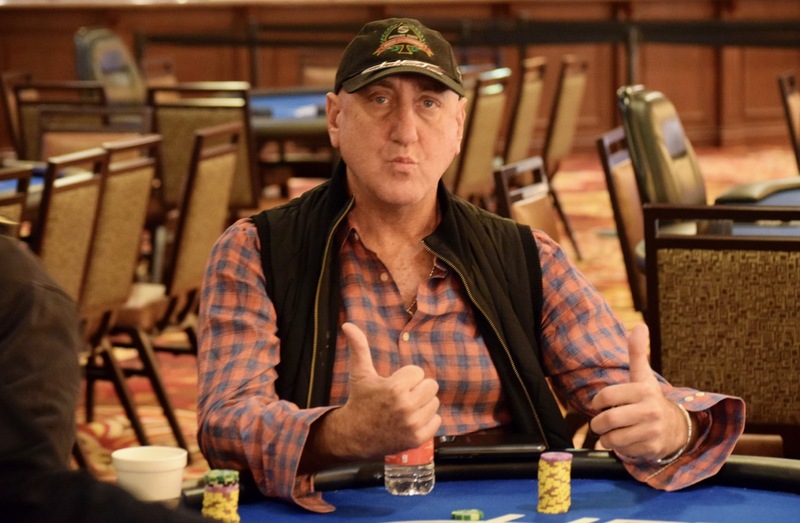 Gary @MowsPoker Herstein leads the Season XIII @HPTPoker Player of the Year race, and earns the title if @JakeBazeley defeats @AriEngelPoker heads-up now in the final tournament of the season. Engel claims the title by defeating Bazeley. There's a #TeamGary hashtag floating around, most likely coming from Chicago where Herstein is sitting with friends, watching the livestream and sweating the result. 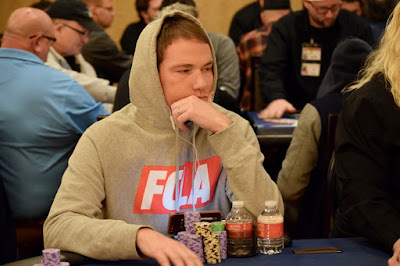 @AriEngelPoker (above) and @JakeBazeley (below) are set to battle it out heads-up for the @HPTPoker season championship. The winner receives $162,154 with $102,647 to the runner-up. 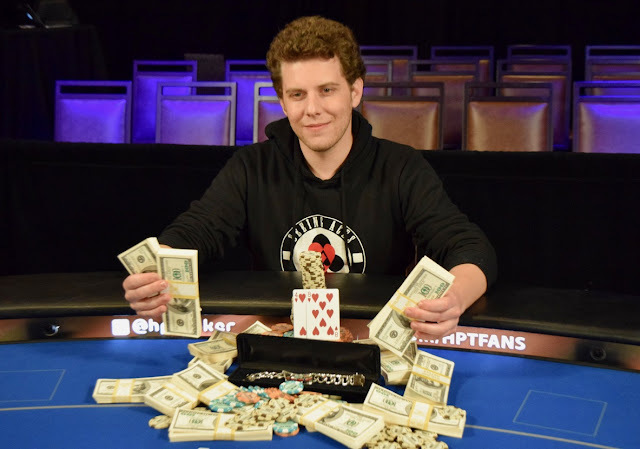 With a victory, Engel secures the Season XIII Player of the Year award and with it, entries in to six HPT Main Events (plus hotel accommodations) in Season XIV. Engel finishes 4th in the POY if Bazeley wins. Bazeley is not in the running for Player of the Year. 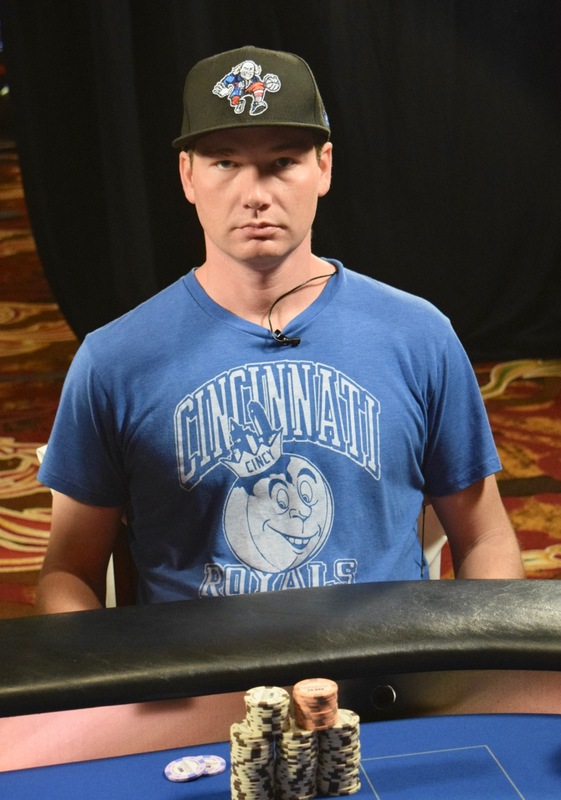 Bazeley has a 5.4 million to 4 million chiplead to start heads-up play. Niel @fly4444 Mittelman moves all in preflop for about 1.6 million and @JakeBazeley makes the call to put Mittelman at risk. Bazeley takes the lead on the flop, adds two pair with the on the turn. The river eliminates Mittelman in 3rd place, a $68,737 cash, Bazeley moving to about 5 million. The heads-up match between Bazeley and Ari Engel starts soon. Engel absolutely crushes the flop, the board running out and Patel is eliminated in 4th place, cashing for $47,940. 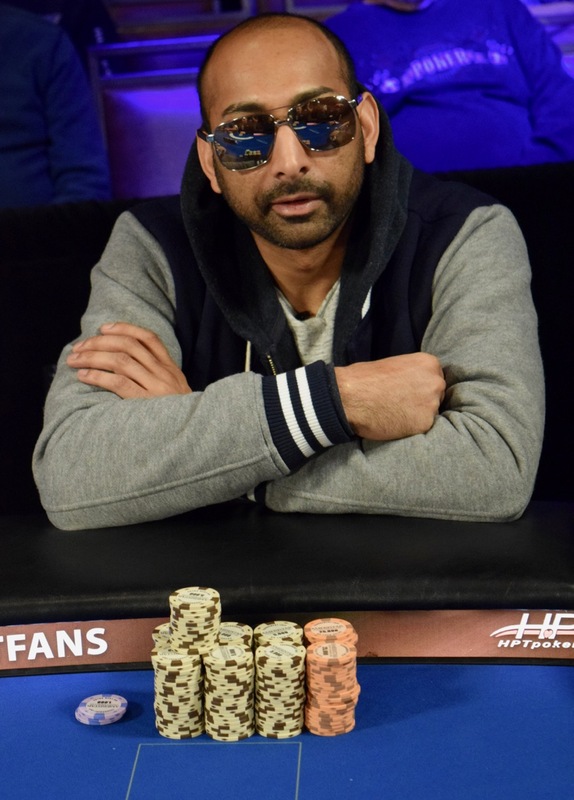 Neil Patel opens for 290,000, @AriEngelPoker moves all in and Patel calls, having Engel's 1.875 million covered. Both players hit their kickers on the flop, the board running out and Engel doubles to 3.75 million and the chiplead, leaving Patel with about 700,000.